The Czech government on Wednesday moved to soften the controversial “muzzle” law that strictly prohibits journalists from revealing information about individuals involved in a criminal investigation, under threat of up to 5 years in prison. The proposed amendment introduces a “public interest” clause which would allow the release of such information if it pertains to politicians and other public officials. The introduction of the “muzzle” law in April of 2009 sparked widespread criticism both at home and abroad. International media watchdogs said it was an attack on press freedom and violated the public’s right to information, creating the image of a country still learning the basics of democracy. 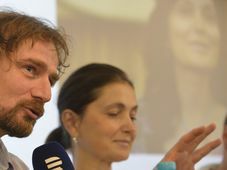 The Syndicate of Czech Journalists slammed the law as excessive and unjustified, a move that represented a real threat to investigative journalism and freedom of expression. That same month 34 senators filed a complaint against it with the Constitutional Court. A month later then-caretaker prime minister Jan Fischer promised the law would be reviewed. However the process was slow and difficult, hampered by political instability. 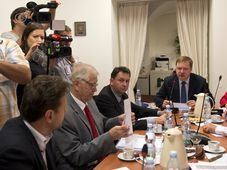 On Wednesday Justice Minister Jiří Pospíšil said his proposed amendment had won government approval and was ready to go to Parliament. 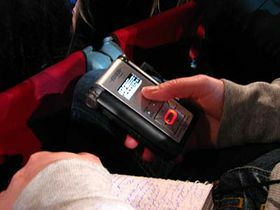 If approved by Parliament the bill would make it possible for journalists to release information, including wiretappings, on criminal proceedings in cases of corruption involving politicians and public figures. Social Democrat deputy Jeroným Tejc, who specializes in legal matters, said his party had no problem with the proposed amendment. Hearing today’s arguments it is hard to believe that less than two years ago deputies from all political parties with the exception of the Communists and a few who abstained, voted in favour of the legislation in its present form. So how does journalist and former dissident Jan Urban see the attempts to modify the law? What would you in particular like to see changed in the present muzzle law? “The basic principle preventing publication of any information on ongoing criminal proceedings involving public figures –with very high punitive penalties of up to 5 years in prison - was simply ridiculous. If this goes away it will be fine, but I really want to see the notion of public interest –the right to know what public figures are doing, how they are spending their money, taxpayers’ money - to be taken into account as a primary and sacred right. The proposal says in controversial cases it will be up to a court to decide where public interest outweighs the right to privacy. Is that acceptable for you? Former finance minister Andrej Babiš is threatened by a new scandal following the release of a new anonymous recording.